British Airways has launched a big new campaign to recruit experienced pilots for its regional operation. The job opportunities have arisen with the growth of its London City schedule and increased regional flying from Manchester, Birmingham, Bristol, Stansted and Edinburgh airports this year. 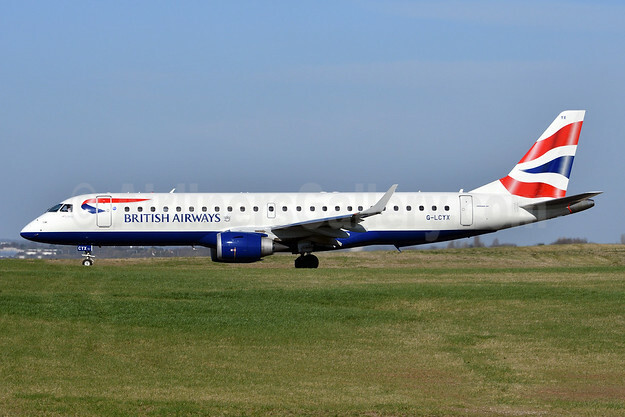 BA CityFlyer, the wholly owned British Airways company with its home base at London City Airport, is on the look-out for all pilots to fly its fleet of 22 modern Embraer 170 and 190 jets. Above Copyright Photo: British Airways-BA CityFlyer Embraer ERJ 190-100SR G-LCYX (msn 19000178) BHX (Fred Freketic). Image: 942630. The current entry requirements for captains has also been expanded. Applicants need to have completed a total of 3,000 flying hours on an aircraft greater than 10 tonnes including 1,000 hours as the pilot in command. BA CityFlyer Head of Flight Crew Resourcing Strategy, Paul Nichols, said: “We are in the middle of tremendous growth at BA CityFlyer, 2018 is our busiest year so far with a 26 per cent increase in the number of customer seats available to many new destinations compared to last year and the introduction of two new Embraer 190s to the fleet. To help with its recruitment drive, British Airways has appointed a team of flying ambassadors, representing pilots from all levels of seniority. They will be attending roadshows and recruitment events around the country to showcase what they do and to assist with any questions. First Officer Florence Nottage joined BA CityFlyer as a direct entry pilot three and a half years ago. Born in France, Florence gained her private pilot’s licence in her home country after taking her first flying lesson at the tender age of 14. She completed a university degree as a career back-up before taking on her full flight training. She says: “Apart from the flying what I really enjoy about my job is the people I work with. London City is such a friendly base, we all know each other and when we turn up for work we know we will be working with people we really like and respect. Florence is single and manages to easily fit her home and family life around her job. Captain Neil Gillon joined the company 17 months ago from City Jet. He began his flying career with self-funded training in the USA where he gained both his Private Pilot’s Licence and his Commercial Pilot’s Licence. After completing his flight training Neil stayed on in the USA as a flight instructor teaching commercial and private pilots for UK/JAA licences and ratings. On his return to the UK Neil got a job with Eastern Airways flying prop aircraft, where he gained his command. He later worked for Monarch, Silverjet and City Jet as a captain on a mix of jet aircraft before joining BA CityFlyer. He was already licensed to carry out steep approach landings at London City Airport, thanks to his experience at City Jet, but what appealed to him most was how quickly the British Airways operation was growing at the Docklands airport. He said: “Being based at the airport I was in a great position to see the expansion first hand, exciting new destinations, a fleet of modern Embraer aircraft and the chance for career progression. Captain Ed Styles joined BA CityFlyer as a First Officer in 2014 and has since got his command and become a Training Captain on the Embraer fleet. He initially got his private pilot’s licence and built up his flying hours after buying a part share in a private aircraft. He did his ground school training in Bristol and his first commercial job was as a pilot with City Jet, based at London City Airport. Since joining British Airways he has taken the opportunity to help other pilots gain vital flying experience and is now licensed to sit in both the left and right hand seats on the flight deck as a training captain, assessing both first officers and captains for their regulation checks. With the expansion of the regional flying programme in the UK, Ed is delighted to be able to fly in and out of his home city of Birmingham. He said: “My parents still live in Birmingham so it’s great that I can combine my working life with a trip home when I’m lucky enough to be rostered a Birmingham trip. We do have great flexibility within the company and we fly to some lovely destinations. First Officer Iain Robb has wanted to be a pilot his whole life and last year his wish came true when he landed his dream job flying for BA CityFlyer. Originally from Glasgow, Iain began his aviation career working on the ground at Glasgow Airport as a dispatcher. With his obvious love of flying when he heard BA CityFlyer were recruiting he signed up straight away. He did his initial practical flight training in Spain last year and in January began ground school in the UK. By March at the age of 21, he was qualified as a first officer and flying his first commercial customers from London City Airport. He says: “I just love my job and the people I work with, every day is different and challenging and the opportunity for career progression is fantastic. This entry was posted in BA CityFlyer, British Airways and tagged British Airways-BA CityFlyer, Embraer ERJ 190-100SR, G-LCYX, msn 19000178 on July 2, 2018 by Bruce Drum.